Made by the Hastings Manufacturing Co. 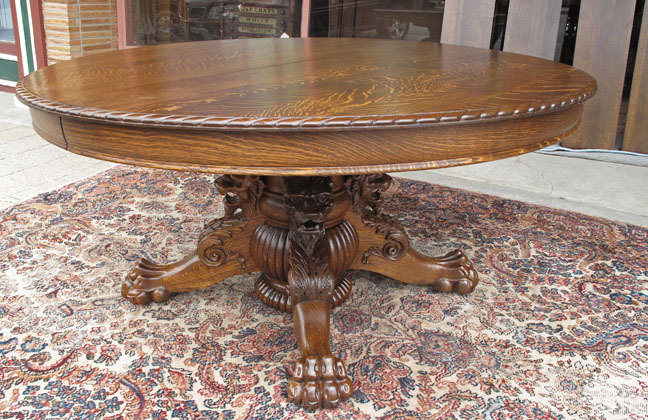 Massive 9' American quartersawn oak Hastings dining table with lions and claw feet. In near mint restored condition and ready to sit in your home or office and enjoy.